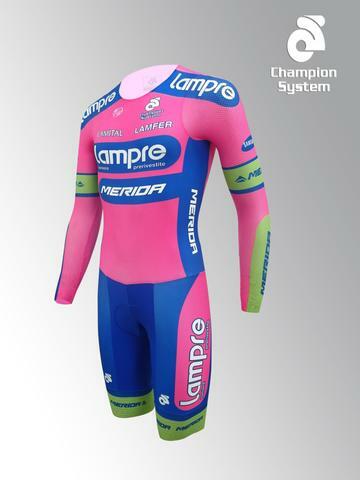 A truly high end, technical performance garment, designed in conjunction with the Lampre-Merida Pro Cycling Team and has been extensively wind tunnel tested. 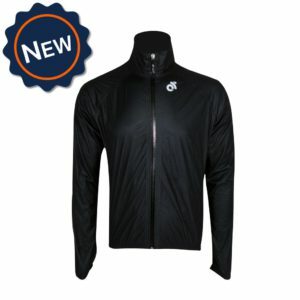 Designed specifically for the elite time trialist or track rider looking for the extra few percent against the clock. 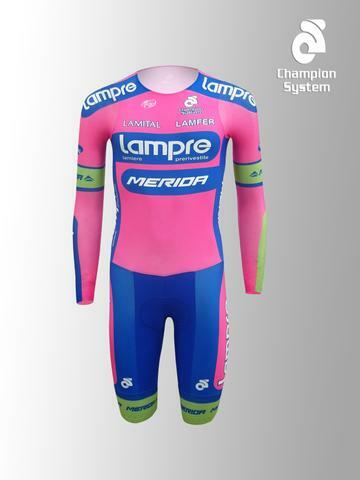 Sleeves are made from and CS Dimple fabric and aero type fabric high in lycra content allowing maximal contact to the skin allowing low drag. 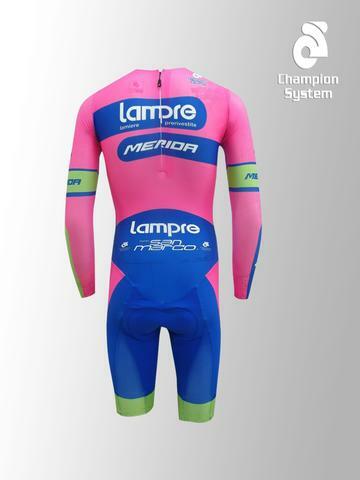 CS Dimple fabric is also featured on rear of the suit to facilitate air flow. 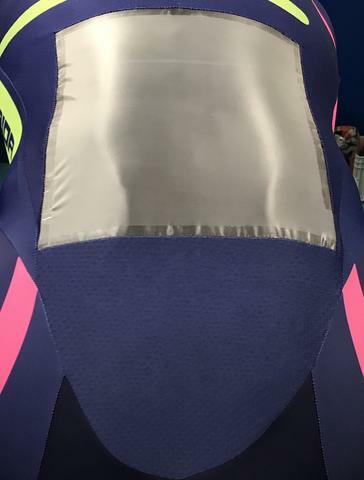 CS Tech Mesh utilized in the rear of the legs for increased ventilation. 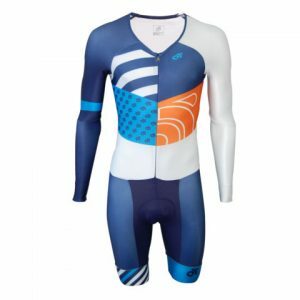 Contour lycra is featured on the front of the suit. 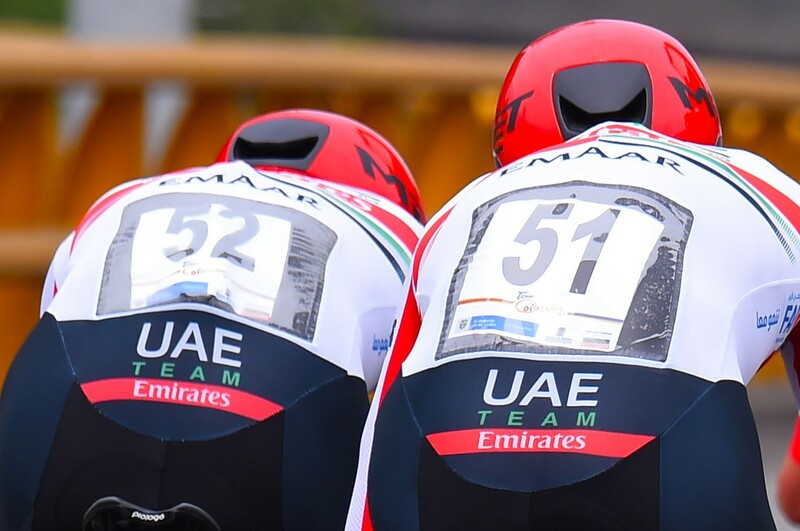 The rear zip feature helps reduces drag for the ultimate in aero benefits. 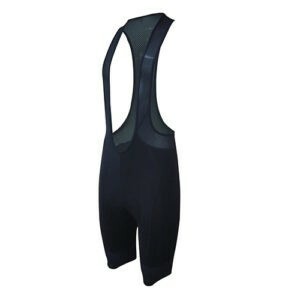 This speed suit is ergonomically shaped to fit whilst in the tucked TT riding position. 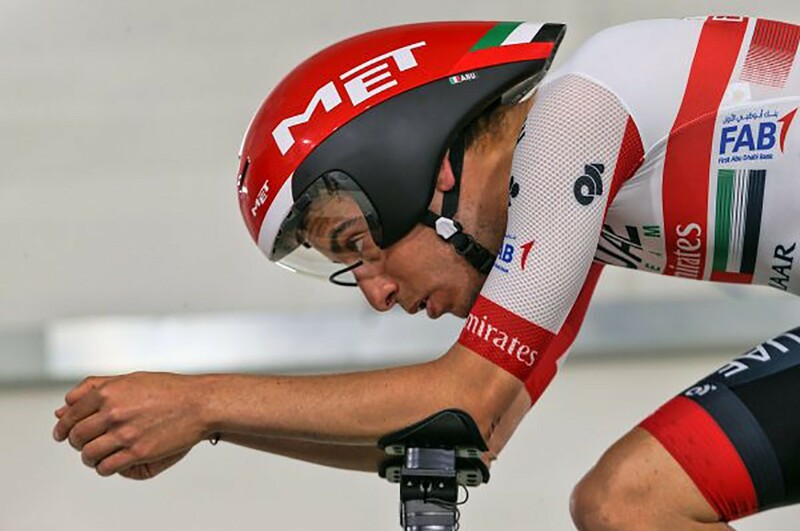 Our most ventilated aero fabric, specifically designed to lessen drag, is featured on the sleeves. If you need more length in the legs, choose from 1.5″ or 2.5″ longer.